Located 2.5 miles north of Crete, Nebraska, Walnut Creek Public Use Area was originally built in 1980, but was later renovated in 2005. This renovation added a boat ramp and multiple jetties, making this area an excellent spot for fishing. 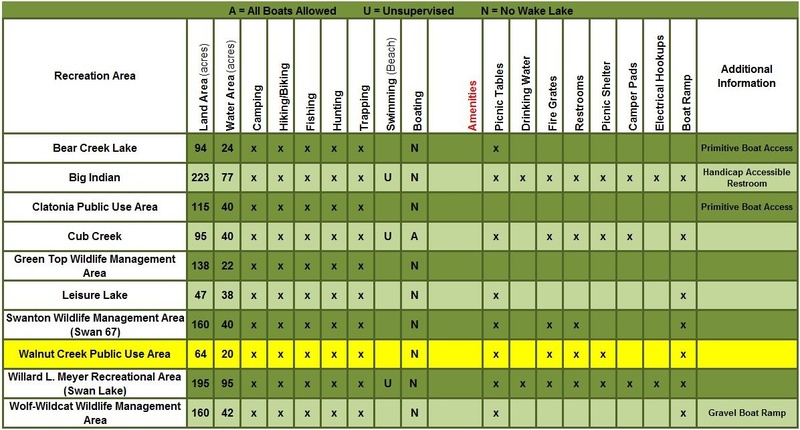 Six different jetties allow anyone to fish from the bank at multiple locations around the lake, while the boat ramp is easily accessible for those looking to get out on the water. 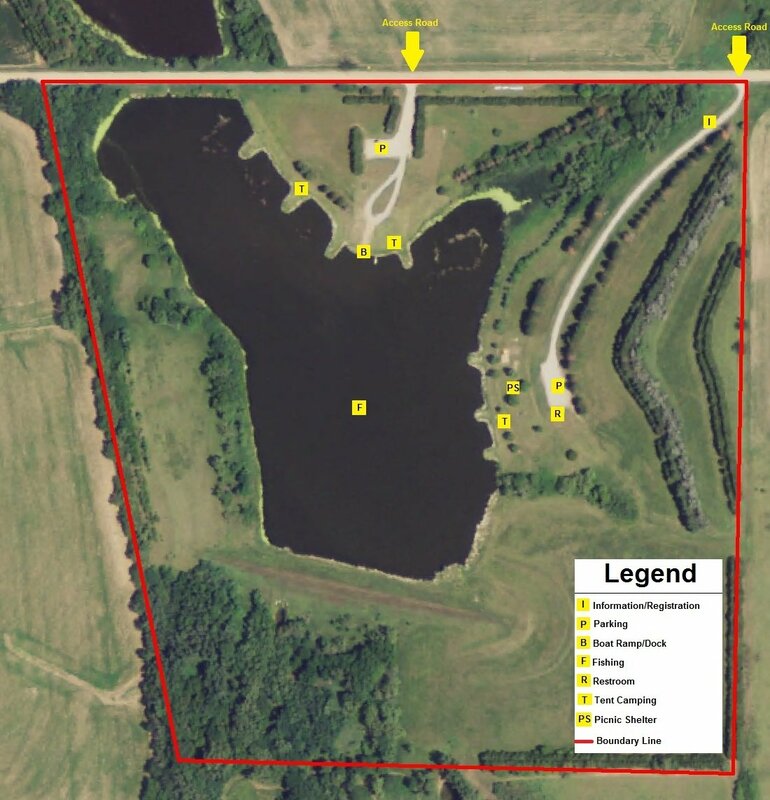 The total area is 64 acres while the lake itself is 20 of those acres, allowing opportunities for many more traditional outdoor activities as well.